I graduated from Smackover High School and attended the University of Arkansas in Fayetteville where I earned a BA in music. I received my teaching license through the Arkansas Non-Traditional Licensure Program. I am starting my 9th year as a music teacher and 4th year in El Dorado. Music class should be fun and enjoyable. If students are not having fun in music class then I am doing music a great disservice. I became a teacher because I've always loved school and it just seemed like a natural fit when I was presented with the opportunity. I look forward to a new school year and new music projects. 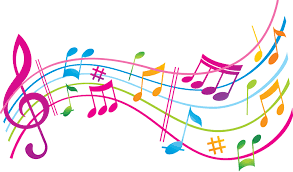 If there are any parents who would like to become involved in the music programs at the school, please do not hesitate to get in touch with me. Students at Retta Brown attend music weekly and learn about different instruments, how to read music and sing fun songs with Mr. Scott. One of our students favorite things to do in music in the drum circle.